Der Artikel Bachbusters - Synthesizer-Adaptionen wurde in den Warenkorb gelegt. 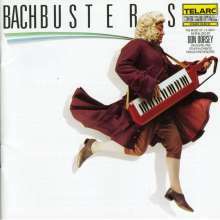 Is Bach still Bach when played on synthesizer? Absolutely! On this recording, the music of J. S. Bach is performed on digital and other synthesizers—presenting the Baroque master's music in a new light, yet without losing the structural integrity of the original works. 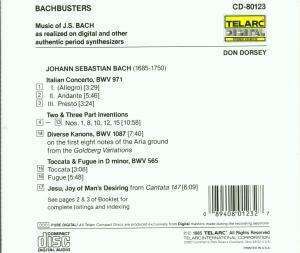 Don Dorsey's technical proficiency and extensive knowledge of his instruments make for innovative and fascinating interpretations of Bach's Italian Concerto, Two and Three part Inventions, Diverse Kanons, Toccata and Fugue in D minor and Jesu, Joy of Man's Desiring.